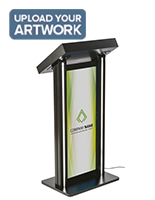 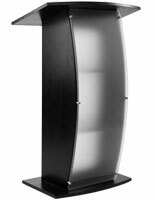 In the market for a simple yet contemporary speaking lectern? 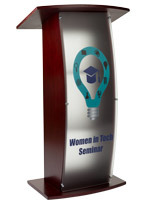 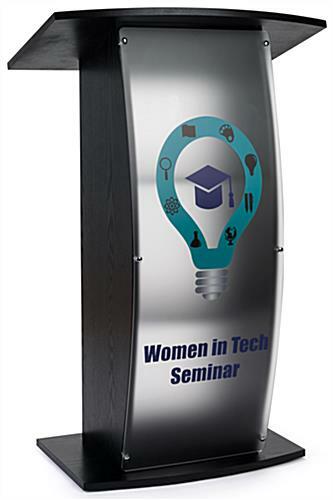 Our wooden podium with custom printed logo would be a handsome addition to any lecture hall, conference room, or stage. 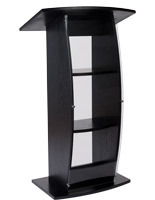 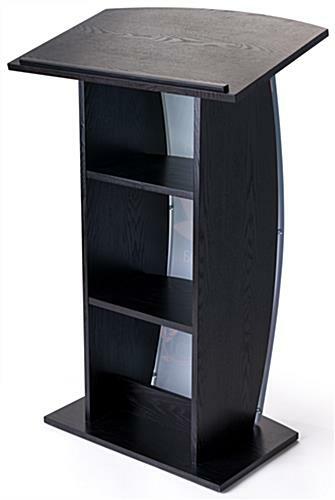 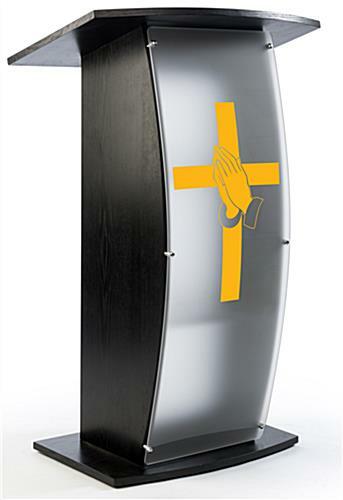 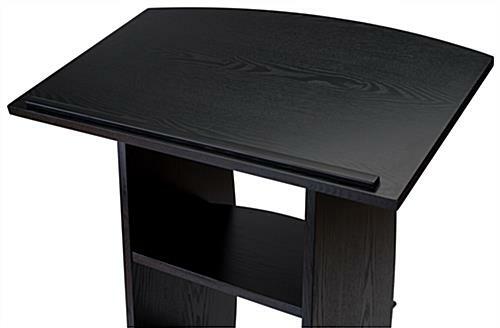 Featuring real wood veneer with a semi-gloss black finish, the stand comes with a curved acrylic front panel. 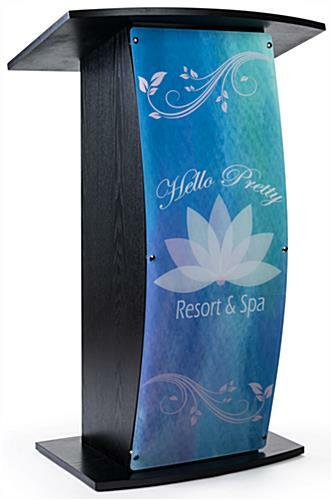 Send us your artwork and we'll apply it to the frosted surface via UV flatbed printing. 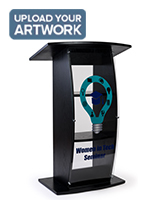 We accept any type of graphic, from simple vector logos up to full color photography. 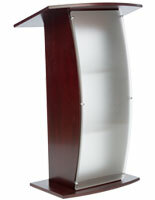 The panel is mounted to the wooden podium with chrome-plated standoffs. 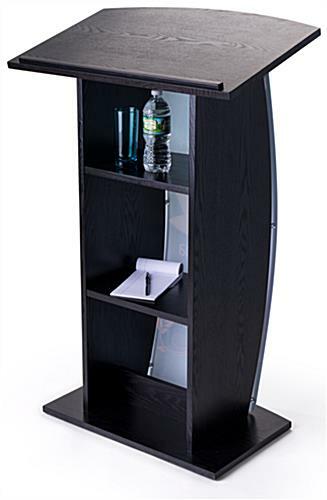 Additionally, there are two internal shelves for storing drinks or notes. 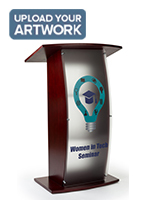 This wooden podium with custom printed logo is perfect for official presentations and is sold at a great, competitive price!